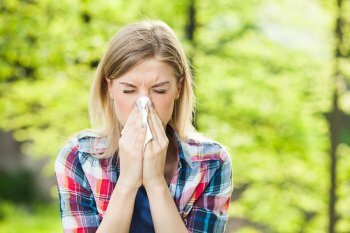 If you sniffle in the spring or sneeze in the fall, it is likely that you have a pollen allergy. Pollen allergies are extremely common, but that doesn’t make them any easier to deal with. The good news is that if you have a pollen allergy that is severe or exacerbating your asthma symptoms, an allergy specialist can help. Pollen that causes allergic disease typically comes from grass, trees, and weeds. Because it is a fine powder, it is easily inhaled, which triggers allergy symptoms like sneezing, itchy eyes, itchy skin, allergic rhinitis and asthma. An allergy doctor can determine which types of pollen are causing your symptoms and recommend strategies for coping with your allergies. Allergy & Asthma Specialists has eight convenient locations staffed with fellowship trained, board-certified allergists and immunologists in Jenkintown, Philadelphia, Blue Bell, King of Prussia, Doylestown, Lansdale, Pottstown, and Collegeville, PA. Call us at 1-800-86COUGH, option 2, or visit our website to schedule an appointment today.